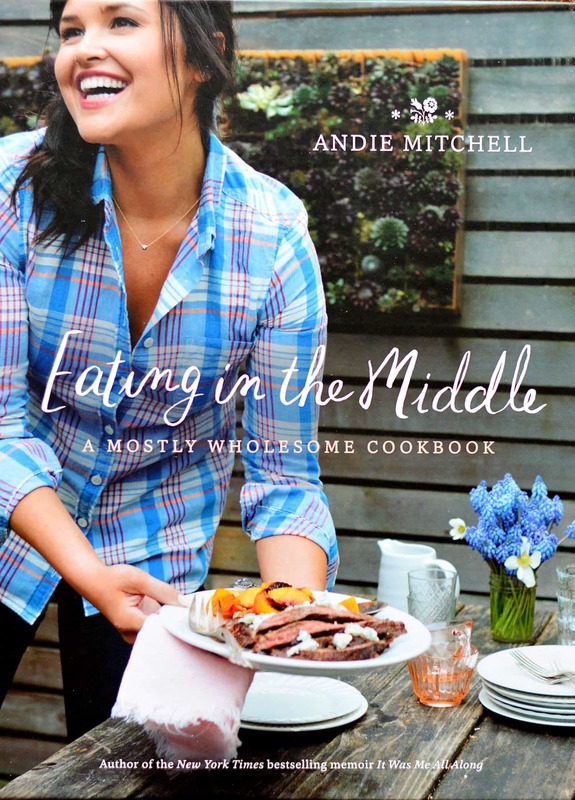 In her inspiring New York Times bestselling memoir, It Was Me All Along, Andie Mitchell chronicled her struggles with obesity, losing weight, and finding balance. Now, in her debut cookbook Eating in the Middle: A Mostly Wholesome Cookbook, she gives readers the dishes that helped her reach her goals and maintain her new size. The first thing I noticed about this book (because these are things I look forward to when purchasing a cookbook) are the photos. 75 of them in full color. I like to see what the finished product is supposed to look like. The photos also help me determine whether or not I want to make that recipe, so I was pleased to see so many here. There are over 240 pages in this hardcover edition. What I love about this book is that there are plenty of easy, made-from-scratch recipes to choose from. I’ve actually already bookmarked a few. While not a “vegan” cookbook, there are so many recipes that are vegetarian and others that are easily adaptable to most diets or preferences. The ingredients are all very easy to locate and some of the recipes are not necessarily new, perhaps more classic, but beautifully prepared as is the book itself. But aside from the recipes, I love the commentary that goes along with the recipes. You really get to know Andie.